A stellar lineup greeted the attendees of a relatively new Music City music series which began its second season in September of last year. 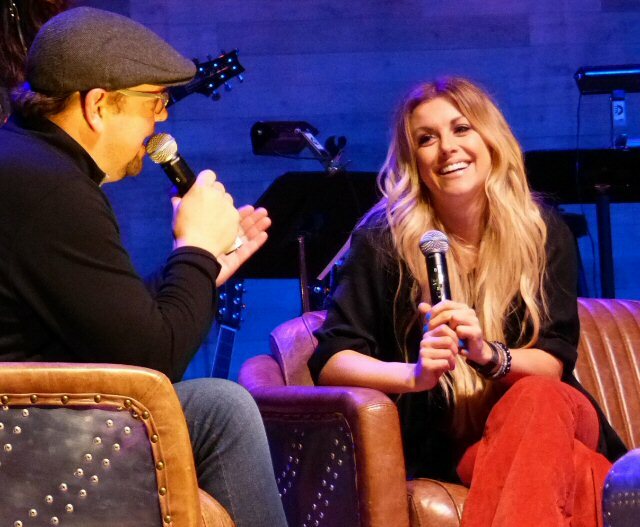 On February 7, 2019 musicians Lindsay Ell, Philip Creamer, Gabe Dixon, The Watson Twins, Emily West, James Slater and Hilary Williams joined host Storme Warren for a night of high-quality performances and interviews by the well-known SiriusXM radio personality. Nashville House Concerts stands out in competitive Music City marketplace. The show opened with a campy rendition of the Friends theme song "I'll Be There For You" but by the time the full cast reprised this number to end the night - everyone felt a bit more like friends - so it all made sense. Warren and several of the performers made it a point to point out the revered history of the War Memorial Auditorium that on this evening felt a bit more like a living room than a normal rock concert configuration. The ornate landmark building was once home to the Grand Ole Opry and has hosted many celebrated nights through the years including KISS opening for Rush in the 70's. Warren made it clear that one of the goals of this series is to showcase some of Nashville's finest musical talent by giving them a chance to make some history of their own on this famous yet overshadowed city stage. Storme Warren and Lindsay Ell get up close and personal in Nashville. Storme also admitted that they are still trying to define their purpose and direction early on in their sophomore campaign. So much so that their talented backing group has been christened the "Is What It Is Band". From our vantage point - Nashville House Concerts was a very well run and concise two hour presentation that included interview segments with every performer and a support band made up of many A-listers who regularly tour with some of the industry's top acts. 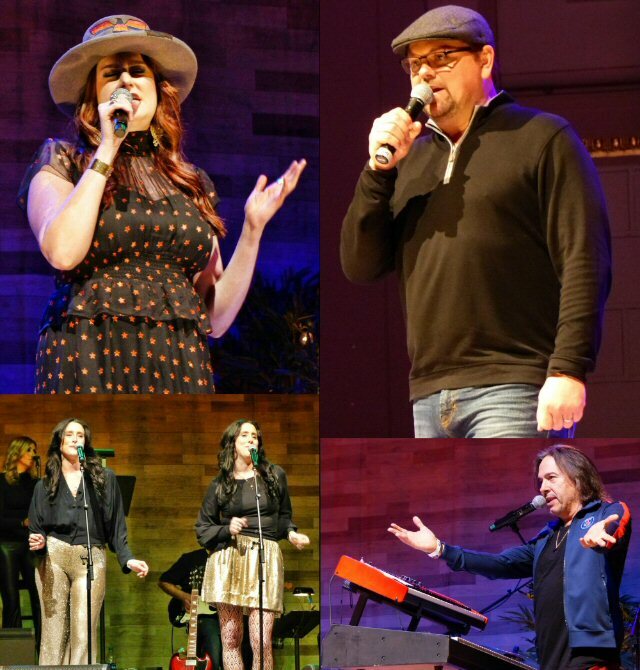 The part concert, part talk show was well received and featured a mix of musical lineage, top songwriters and rising performers. Perhaps drawing on the idea of the Nashville rounds and a format made popular by the now dormant "Music City Roots" the NHC series is nicely positioned to continue offering in-depth insight into the scope of this region's talent - as they did on this evening. Gabe Dixon - Nashville's great musical ambassador. 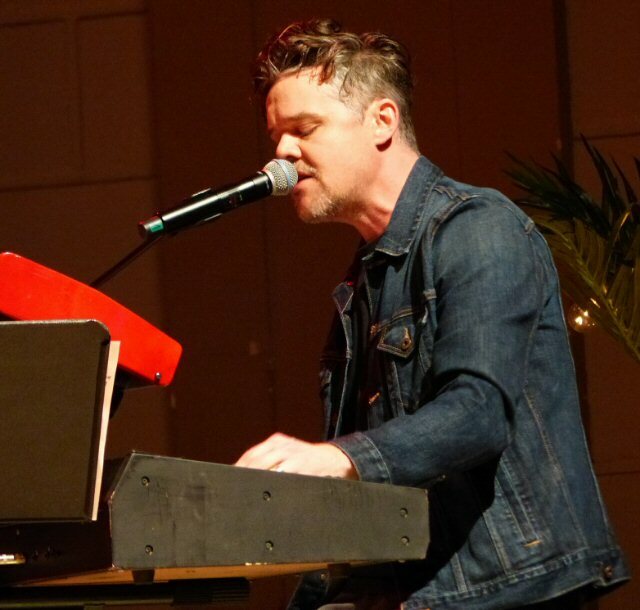 After greetings and salutations this edition kicked off with the energetic James Slater on keyboards who included his timely "In My Daughter's Eyes" - a hit he wrote for Martina McBride - in his set. The striking Emily West was a revelation in addition to being a bubbly beauty. Acclaimed daughter of Hank Jr., Hilary Williams was both charismatic and cautious as she made a return to the stage after a tragic accident and near death experience. The very likeable Philip Creamer from Texas gave us a glimpse of his take on Brit Pop and glam rock. The Watson Twins from north of the border in Kentucky where charming as they sang and danced through a pair of Valentine themed selections. As always, Nashville musical ambassador Gabe Dixon did not disappoint when it was his turn at the ivories. 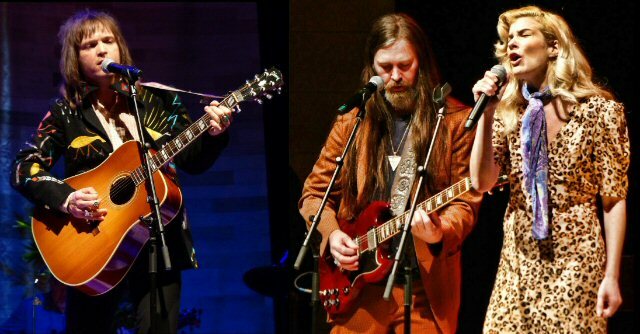 Hilary Williams, host Storme Warren, James Slater and The Watson. The attractive and talented hotshot guitarist Lindsay Ell impressed by demonstrating her looping technique and showing off her arena rock style. As the closer she got to play three including the so good it should be illegal "Criminal". In an ongoing segment, two of the evening's performers were tasked with turning eight audience provided words - "javelin", "tie dye", "armadillo", "cheetah", "excruciating", and "bride" among others - into a song that was performed just prior to the finale. The results were hilarious and provided a real-time lesson in pressure songwriting at work. On a cold and rainy night in Nashville a sizable crowd turned out to enjoy this town's take on the house concert ideal. The organizers have given themselves room to expand as a few rows in the back along with the venue's mezzanine section remained unfilled. By a show of hands many of the patrons were first time visitors to the series. In a crowded and competitive market Nashville House Concerts has opened its doors to locals and tourists revealing a quality and professional take on the Nashville scene. If they continue to make history at the WMA there's a good chance they'll be able to stick around for awhile. Philip Creamer and Emily West entertained the packed house at the WMA.